As we speak, the government is debating changes to immigration policy that could bring more entrepreneurs into the United States. 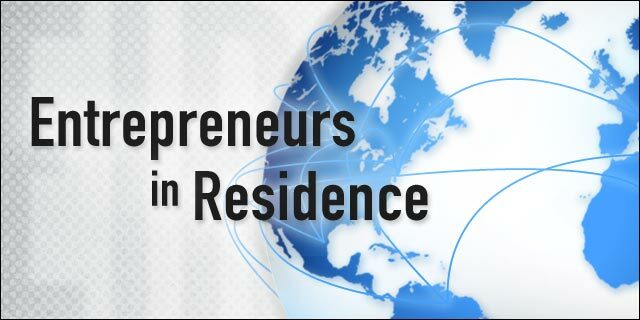 I’m not talking about the “startup visa;” I’m talking about the new Entrepreneurs in Residence program. 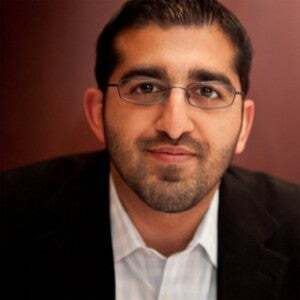 Five entrepreneurs, including 500 Startups partner Paul Singh, are meeting for 90 days to give suggestions for rewriting not the laws, but the “policies” – the way regulations are interpreted, including training manuals for federal officials. (And they’re not looking at individual applications, so no need to pester Singh with emails). For example, certain visas require you to show you have an office. Singh is helping point out that incubators, which would generally be dismissed as coworking spaces, are actually valid offices for startups. Many visas make you prove that you won’t overstay your term, with documents like a lease from your home country. Singh is helping government officials understand that entrepreneurs are getting younger and younger, and they won’t always have documentable ties back home. In the interview below, Singh explains why – miracle of miracles – it looks like the government will make quick, positive changes here. He also shares his opinion on the broader immigration issue. Tech Cocktail: Why did you decide to get involved in this? Paul Singh: One of the common things we run into [at 500 Startups] is a lot of our foreign entrepreneurs just have trouble coming into the country – even for short-term things like 90 days just to raise money. And my observation was that … the real challenge was that the folks at the tip of the sphere – the guys that actually interview these startups at the consulate, and the people that actually open these immigration forms at the federal processing plants – they don’t really know what startups look like. And again, it’s not because they’re inept; it’s because the rulebooks they have were designed in the ’90s, and then before that they were written effectively in the ’50s and ’60s. So I think we can all agree that startups just look different today. Tech Cocktail: How’s it going so far? Singh: We’ve been traveling to the different federal service centers around the country where the actual documents are reviewed. If you can imagine these things, these are these huge federal facilities; there’s just files everywhere, it’s amazing, I’ve never seen anything of that scale. We’re actually going there and speaking to hundreds of adjudicators face-to-face, and we’re doing these all-day Q&A sessions where they can ask us anything they want about what startups look like, what venture capital looks like, what the different documents mean, what a cap table is…. As a private citizen and as a venture capitalist, I have the luxury of focusing on and investing in the best startups I can find in the world. And I have the luxury of just effectively ignoring the other ones, just saying, “No, I’m not going to give you my money” (of course I’m oversimplifying). The government, on the other hand, they have a harder problem to solve. On the one hand, they have to help bring in the talent that people like me find, but at the same time, they have to protect the country from fraudulent people – not necessarily dangerous people, but just fraudulent people, and that’s the tricky part. And so the biggest observation for me was: this is a two-way street. Not only do we have to help them understand what the world looks like, but we – as private businesses and private citizens – have to understand the realities of their world and bring it back to our portfolios. I will say it’s been really, really eye-opening, but it’s also been really refreshing. Because everybody we’ve talked to at the White House, at Citizenship and Immigration, at the State Department, everywhere – they get it. They understand that they need to do this, and I wouldn’t be doing this if I didn’t feel like we were going somewhere, because it takes time away from my own portfolio. And I’ve been just refreshingly surprised and pleased by how on board everybody has been. I really do feel like we’re moving the needle…. Tech Cocktail: What do you think of the current visa laws? Singh: It’s really easy for everyone, including me, to armchair quarterback and suggest all these different new policies and frameworks we should have and all these different visa classes. But the fact of the matter is, if you and I go look at Startup Visa, they wrote that like 2 years ago, and it’s sort of stuck in the mess. The thing is, I’m a supporter of Startup Visa, and I want to see it pass, but I’m also smart enough to know it’s been stuck for 2 years, and for me to spend more time pushing it as a full-time thing right now is probably not the best use of time. So when I look back at why I signed up for this, I think about the fact that in general, the existing policies are pretty good. Certainly there’s edge cases there – you could say that about any system, there’s always going to be edge cases that are broken…. But I think that if we can help these guys understand what startups look like today, I bet you what you’re going to find is at least more of the companies and the founders currently getting denied are going to get let in. And so that’s a relatively easy fix, and we can do that. We can show progress in that in the next 90-120 days.